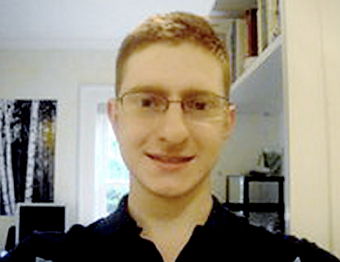 The parents of Tyler Clementi, the Rutgers student who committed suicide after his roommates used a webcam to stream his liaison with another man, may sue the university. In the months since Tyler Clementi took his own life, his roommate Dharun Ravi and fellow Freshman Molly Wei have been charged with invasion of privacy and have left Rutgers; they may yet be charged with bias intimidation. Clementi's parents, however, feel they didn't act in a vacuum, and that the university could have done more to prevent the tragedy. In one of two notices filed this week (which preserve their right to take legal action if they so choose) Joseph and Jane Clementi wrote that Rutgers "failed to act, failed to put in place and/or failed to implement, and enforce policies and practices that would have prevented or deterred such acts." That said, their lawyer has stated that "a decision as to whether to file suit against Rutgers University in the future has not been made." We at the university share the family's sense of loss of their son, who was a member of our community...We also recognize that a grieving family may question whether someone or some institution could somehow have responsibility for their son's death. While the university understands this reaction, the university is not responsible for Tyler Clementi's suicide. More telling will be the steps Rutgers — and colleges in general — take to prevent this sort of tragedy in future. The sad part is, banning web-cams or specific technology can probably only do so much: human cruelty can take many forms, not all preventable.